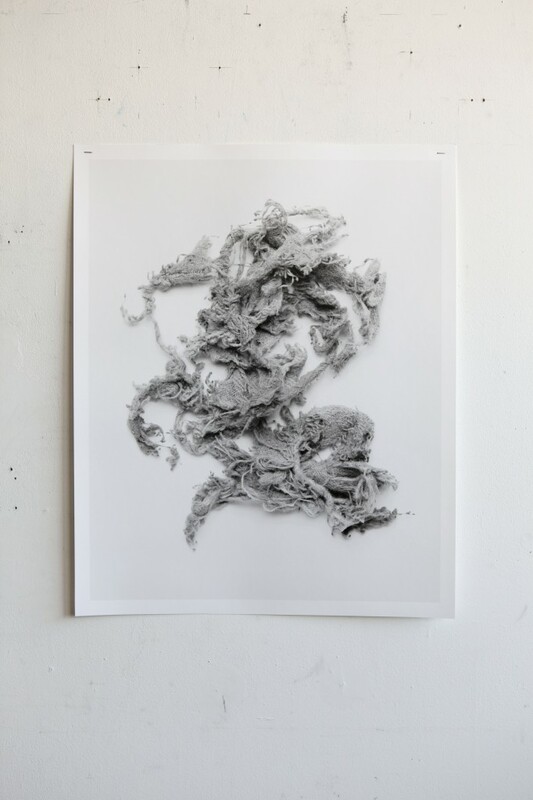 N. Dash’s work in drawing, painting, and photography is rooted in her ongoing experimentation with materials. 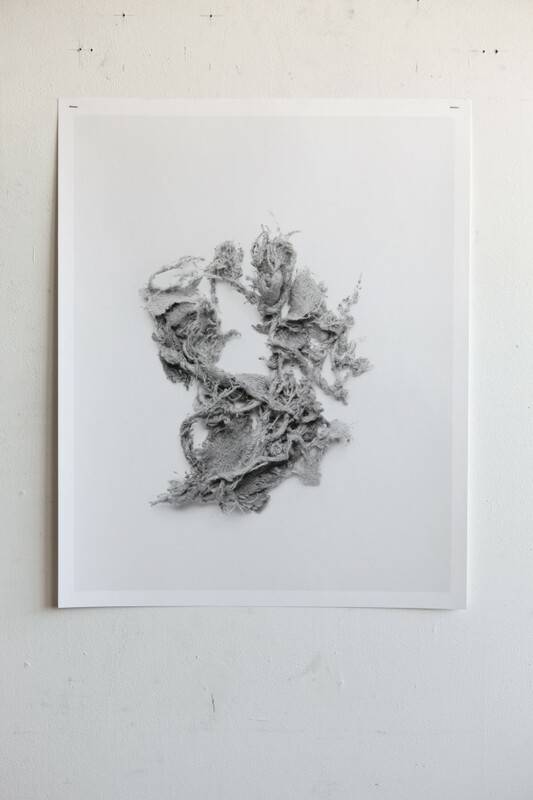 Constantly occupying her hands with working small bits of fabric between her fingers, Dash’s intentional process of touch yields artefacts that are the building blocks of her work. When the greyed, fraying fabric is just short of losing its structural integrity, Dash sets it aside and takes up a new piece of fabric to begin the process again. This idiosyncratic activity results in what Dash refers to as “primary source material,” from which all her ideas emerge.To make what she calls her “constructions”, she then photographs these “artefacts”, arranging them individually or in small groups. The resulting silver gelatin prints range in scale and communicate the artefacts’ presence and meaning as manifestations of process, labour, thought, and time—they are the tangible evidence of intangible phenomena. 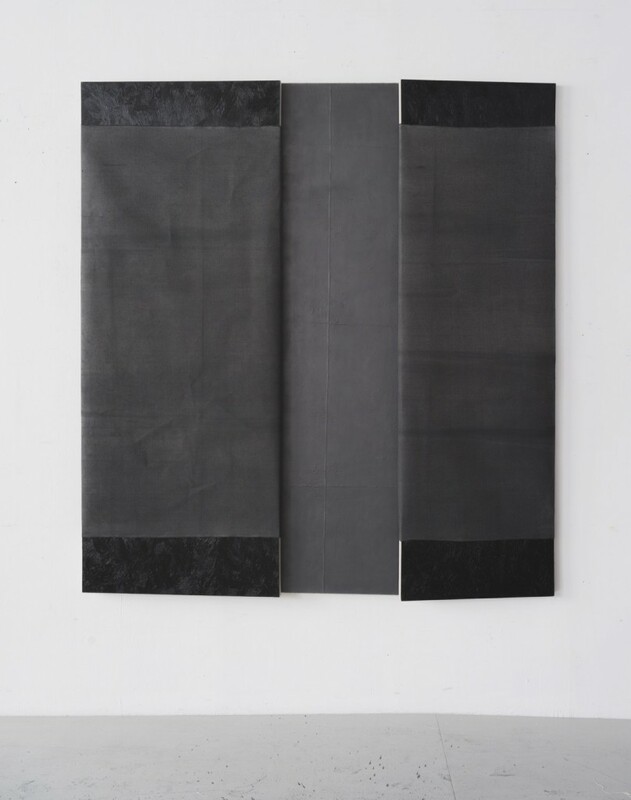 This informs much of her work and illustrates her continued exploration of the means by which information and bodily expression can be embedded into the material elements upon which painting and sculpture are built. N. Dash was born in Miami Beach, Florida in 1980. She earned a BA from New York University in 2003 and a MFA from Columbia University in 2010. Her first museum show is at the Hammer Museum until January 2015. 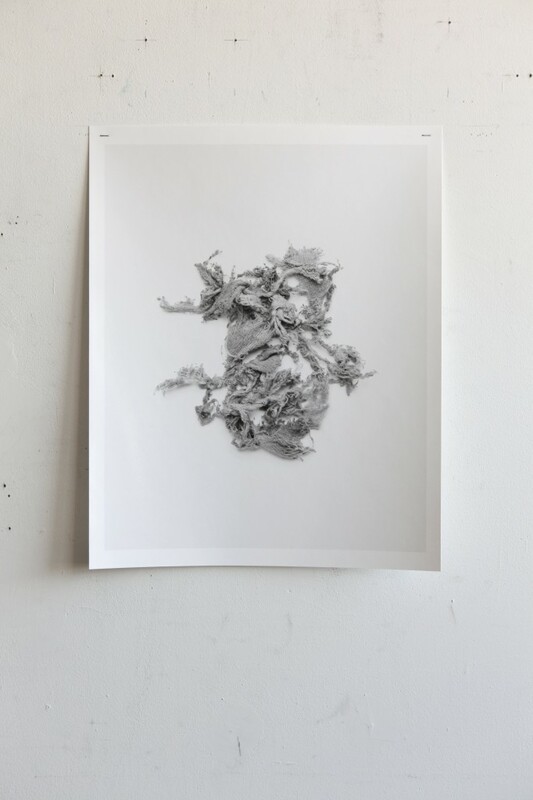 In 2013, Dash’s work was presented in a one-person exhibition at White Flag Projects in St. Louis, Missouri. 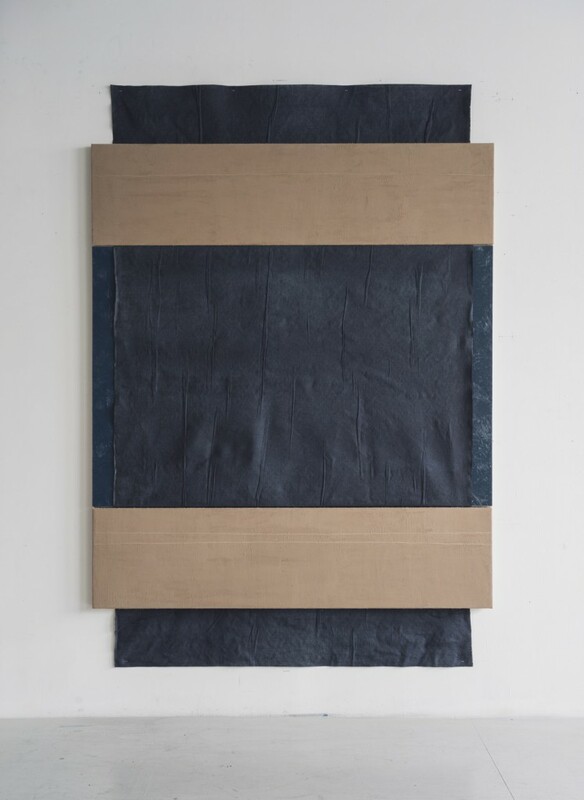 Her work has been featured in thematic exhibitions such as The Possible, Berkeley Art Museum, Berkeley, CA (2014); The Independent: Dreams That Money Can’t Buy, Maxxi Museum, Rome, Italy (2014); Pier 54 curated by Cecilia Alemani (2014); Painting in Place, Farmers and Merchants Bank presented by Los Angeles Nomadic Division, Los Angeles, CA (2013); My Crippled Friend, Columbus College of Art and Design, Columbus, OH (2013); Notations: Contemporary Drawing as Idea and Process, Kemper Art Museum, Washington University, St. Louis, MO (2012);Transient Response / Land Tender, High Desert Test Sites, Joshua Tree, CA (2011).